Clarke; Madden, Webster, Desmond, Toner, Bermingham; Lennon, Clifford, McCabe, Forrester (Coleman 87); Shaw (Walker 90). Rogers; Gannon, Gartland (Mountney 76), Cleary, Massey; Hoare, Murray, McGrath (Kelly 84); Duffy, Kelly (Flores 58); Hoban. 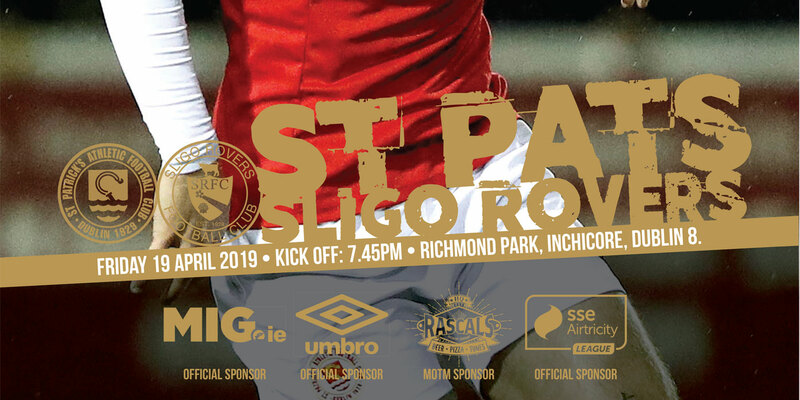 Dundalk's title credentials, albeit in these relatively early nights of combat, suffered a serious setback as Saint Patrick's were worthy 1-0 winners in Inchicore. A comical own-goal from Daniel Cleary decided the game but what will concern visiting boss Vinny Perth far more was the sluggish nature of his side's response, the proviso being they are still missing key midfielders and rallied late without any joy. 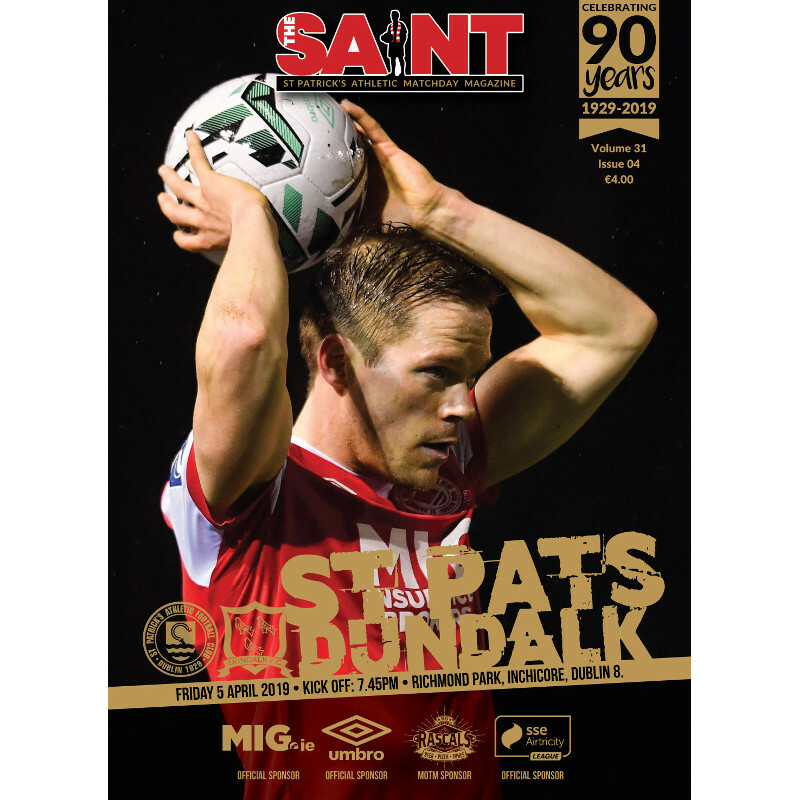 Saints belied their poor recent form with a dogged performance, full of effort and honesty, with the loss of Mikey Drennan offset by Gary Shaw's ability to win headers and hold up the ball - even without much help from the referee. Pat's were defensively outstanding, with Michael Duffy the only player in Dundalk's five-man midfield who could be pleased with his performance - and even he was kept pretty quiet. One had to wonder had Good Friday come early, as there was a notably flat atmosphere in the ground in the first half, the attendance clearly hurt by a televised Premier League game into the bargain. Saints fans who decided to watch two English clubs on television missed out badly on a morale-lifting win. It was almost immediately apparent that the champions were intent on challenging perceived kinks in the Patrick's system: they looked constantly to go wide, on the premise that the hosts were overloaded centrally. As it transpired, home boss Harry Kenny's tactics worked out well, as Saints easily got the better of it in midfield, with Conor Clifford, Rhys McCabe and Jamie Lennon outstanding - typifying a really spirited performance from a team that had gone a bizarrely long time without winning a game. 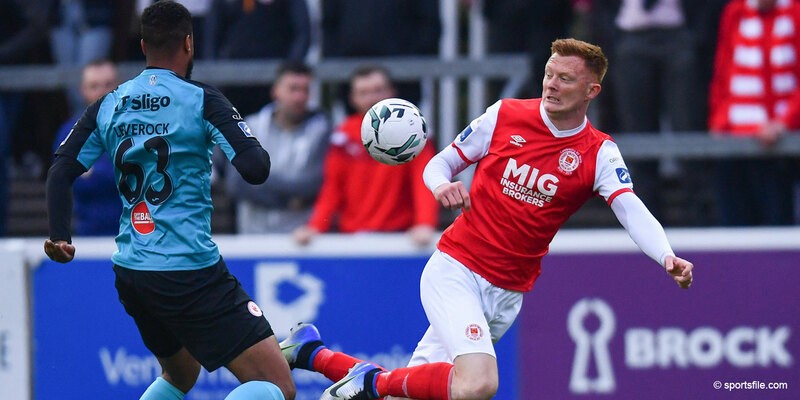 Clifford, who probably had his best game of the season, missed a massive chance for Saints on 14 minutes following an unsuccessful Sean Gannon appeal for a handball after he had lost possession. Ian Bermingham played Clifford, who had other options, in Ã¢â‚¬â€œ but his tame shot was blocked. The corner coming to nothing, Daniel Kelly attacked with blistering speed for Dundalk, but he dragged his shot wide of Brendan Clarke's net. Clarke has been in outstanding form for Saints and was comfortable against a sizzling drive from Duffy on 20 minutes, these players enjoying a near-perfect surface in drizzly conditions. Sublime interplay by Sean Murray and Jamie McGrath had the hosts bewildered on 28 minutes, a crude McCabe challenge seeing the latter booked. Shortly afterwards, an optimistic drive from the Scot was batted away by Gary Rogers. Pat's gained confidence as the match progressed, such that Clifford felt no shame in attempting an overhead kick on 39 minutes, and he really should have done better from Simon Madden's centre. Saints went in front just on half-time as McCabe's speculative cross - with no other options to think about - was inexplicably put into his own net by Cleary, who made a complete mess of an attempted intervention. Dave Webster made an excellent defensive header on 62 minutes from a Gannon cross as Dundalk struggled to create anything in the second half. The Dubliners grew in confidence, sensing that they had things under control. Patrick's should have been given a free out after fouling in the box from a corner, from which Cleary headed over, midway through the half. Forrester, who showed signs of a belated return to a level consistent with his undoubted ability, wasted a golden chance to make it 2-0 with under 20 minutes to go, his effort at Rogers lacking conviction. Murray was practically anonymous but showed his class with an audacious outside-of-the-foot volley with eight minutes left that had Clarke beaten, only to drift wide. The champions plugged away, Clarke happy that former Saint Sean Hoare's header posed no threat from Duffy's free-kick. Kevin Toner was a relieved man with four minutes left after a characteristically robust challenge on substitute Georgie Kelly which looked a penalty. It would have been a bit harsh on Pat's, but they got away with it. Dundalk searched in vain, Kelly and Murray both shooting off target and the former also missing a header, for parity. Deep into five minutes of injury time, they had their best chance, Patrick Hoban hooking wide from a difficult angle, as the home fans embodied huge relief. 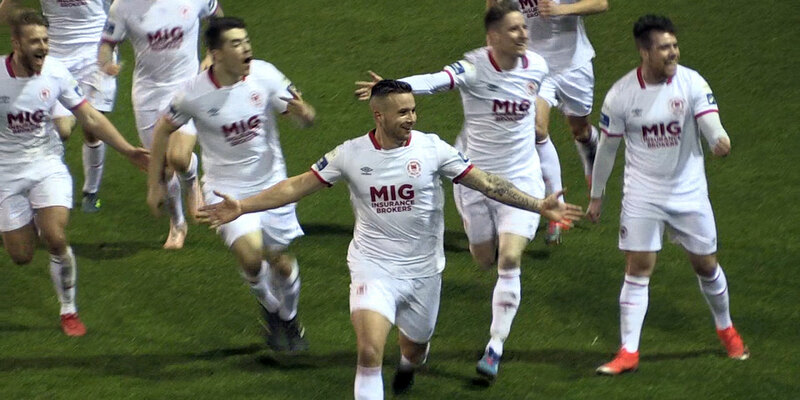 It was just one of those evenings for the champions.They now trail Shamrock Rovers, who have played two games more, by a remarkable ten points.